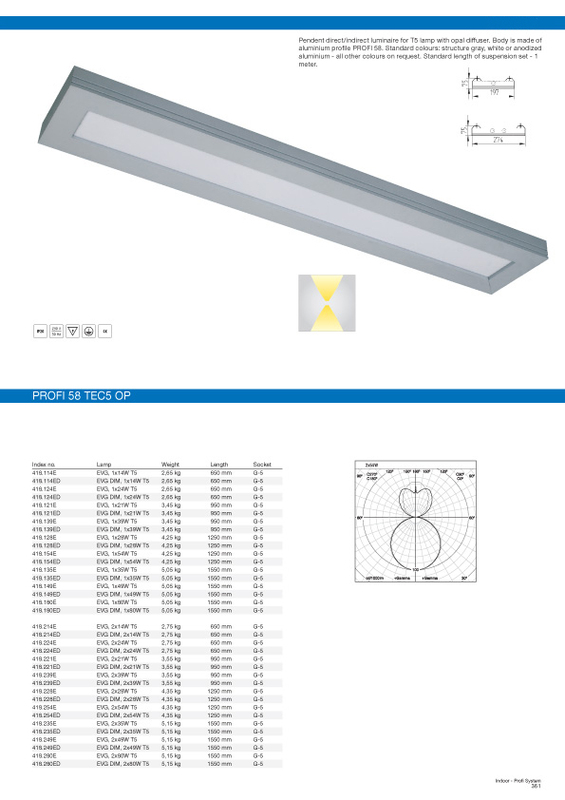 Luminaire designed for T5 lamp with opal diffuser. Body is made of aluminium profile PROFI 48. Standard colours: structure gray, white or anodized aluminium – all other colours on request. This luminaire can be mounted directly to the ceiling, pendent on steel wires or stiff pipes. 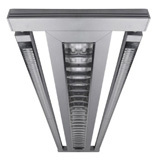 This luminaire can be connected in long lighting lines. We can prepare it in different lenghts and shapes on request. 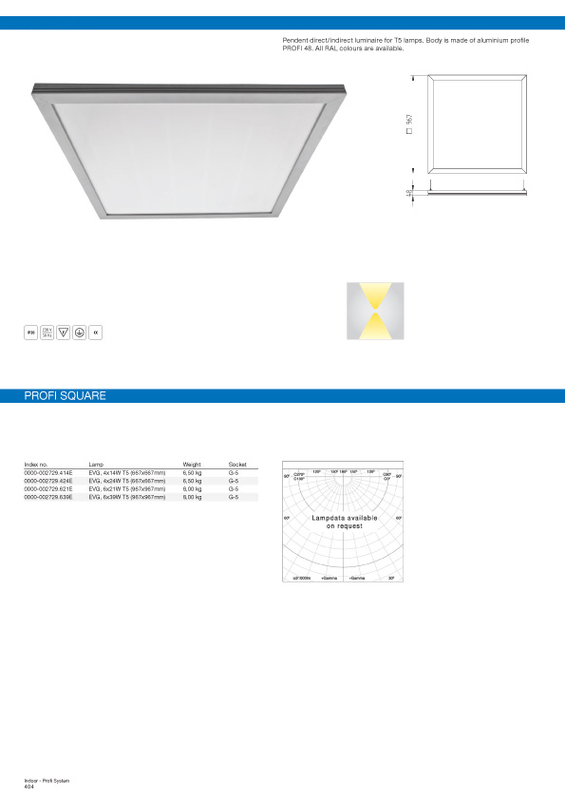 Luminaire designed for T5 lamp with acrylic diffuser. Body is made of aluminium profile PROFI 48. Standard colours: structure gray, white or anodized aluminium – all other colours on request. 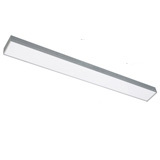 This luminaire can be mounted directly to the ceiling, pendent on steel wires or stiff pipes. 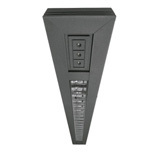 This luminaire can be connected in long lighting lines. We can prepare it in different lenghts and shapes on request. 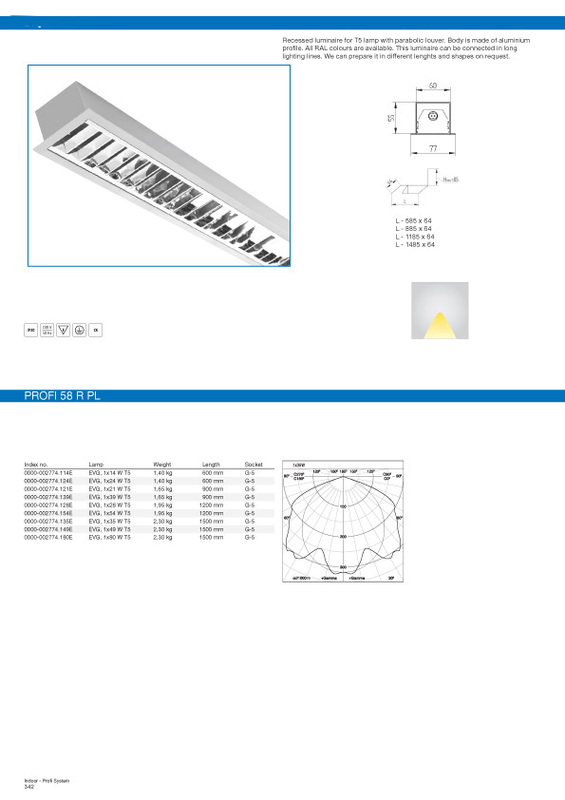 Luminaire designed for T5 lamp with lamel louver. Body is made of aluminium profile PROFI 48. Standard colours: structure gray, white or anodized aluminium – all other colours on request. 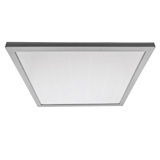 This luminaire can be mounted directly to the ceiling, pendent on steel wires or stiff pipes. 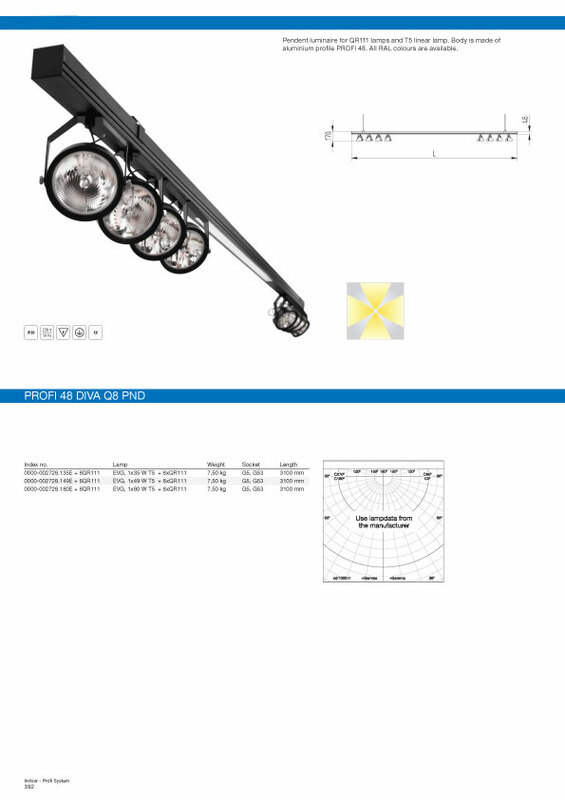 This luminaire can be connected in long lighting lines. We can prepare it in different lenghts and shapes on request. 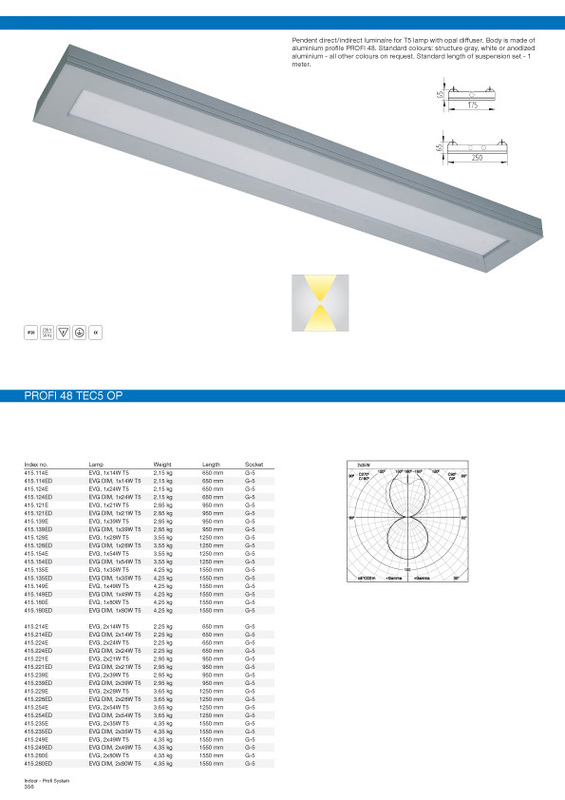 Luminaire designed for T5 lamp with slot diffuser. Body is made of aluminium profile PROFI 48. Standard colours: structure gray, white or anodized aluminium – all other colours on request. This luminaire can be mounted directly to the ceiling, pendent on steel wires or stiff pipes. 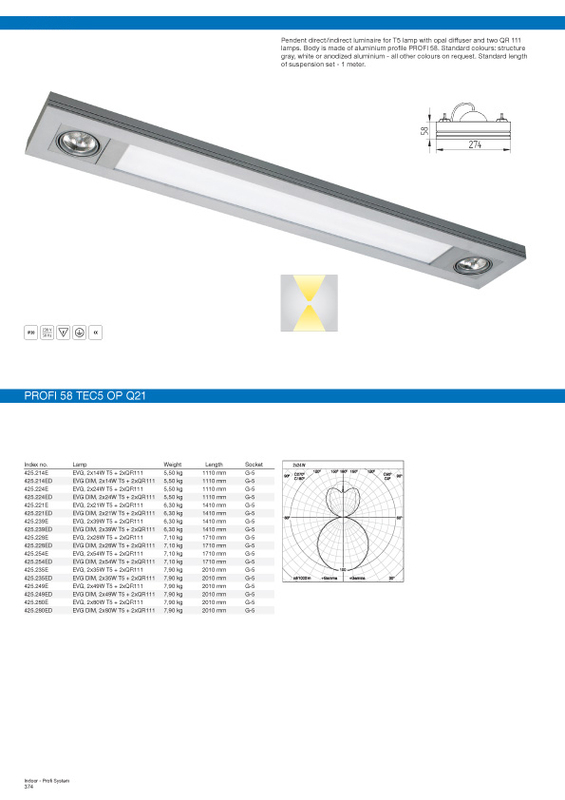 This luminaire can be connected in long lighting lines. We can prepare it in different lenghts and shapes on request. 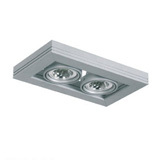 Recessed luminaire for T5 lamp with opal diffusor. Body is made of aluminium profile. 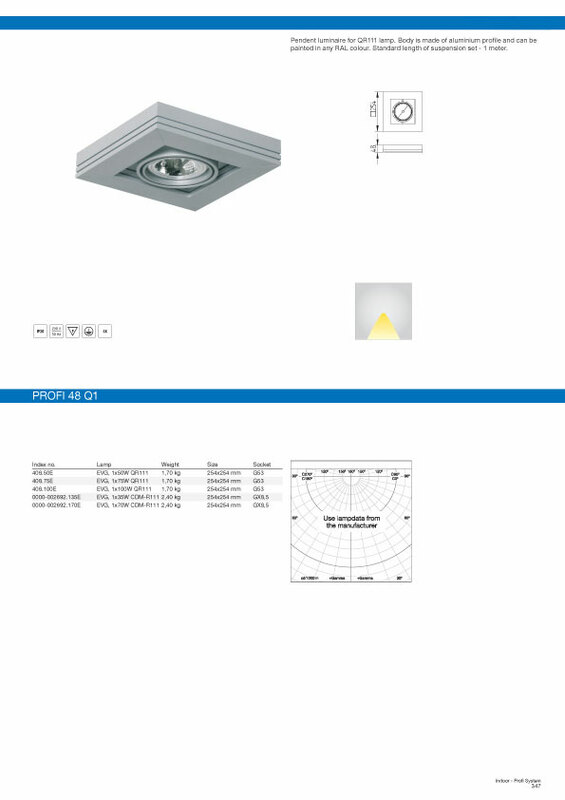 All RAL colours are available. 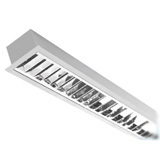 This luminaire can be connected in long lighting lines. We can prepare it in different lenghts and shapes on request. 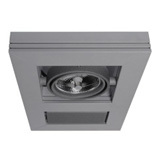 Recessed luminaire for T5 lamp with lamel louver. Body is made of aluminium profile. All RAL colours are available. This luminaire can be connected in long lighting lines. We can prepare it in different lenghts and shapes on request. 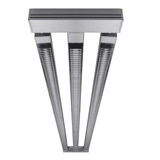 Luminaire designed for T5 lamp with opal diffuser. Body is made of aluminium profile PROFI 58. Standard colours: structure gray, white or anodized aluminium – all other colours on request. This luminaire can be mounted directly to the ceiling, pendent on steel wires or stiff pipes. 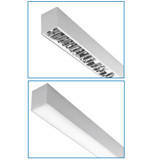 This luminaire can be connected in long lighting lines. We can prepare it in different lenghts and shapes on request. 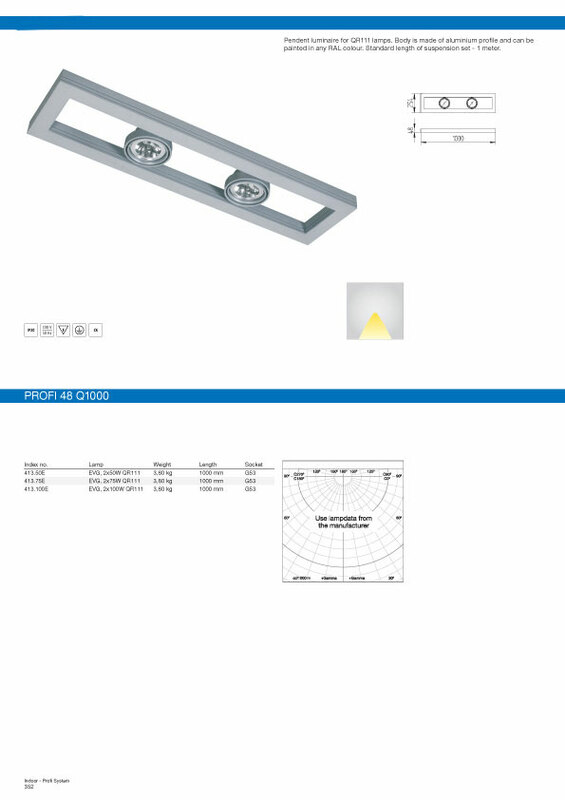 Luminaire designed for T5 lamp with acrylic diffuser. Body is made of aluminium profile PROFI 58. 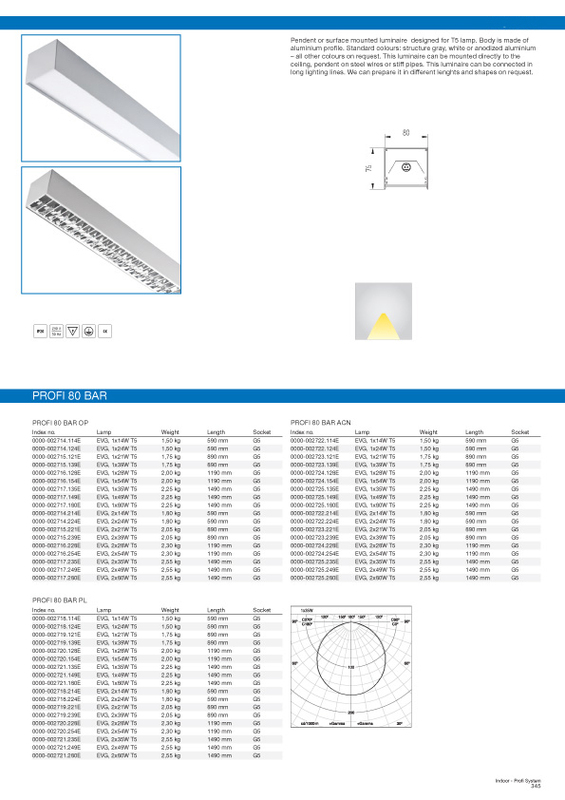 Standard colours: structure gray, white or anodized aluminium – all other colours on request. 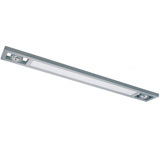 This luminaire can be mounted directly to the ceiling, pendent on steel wires or stiff pipes. 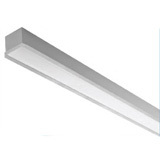 This luminaire can be connected in long lighting lines. We can prepare it in different lenghts and shapes on request. 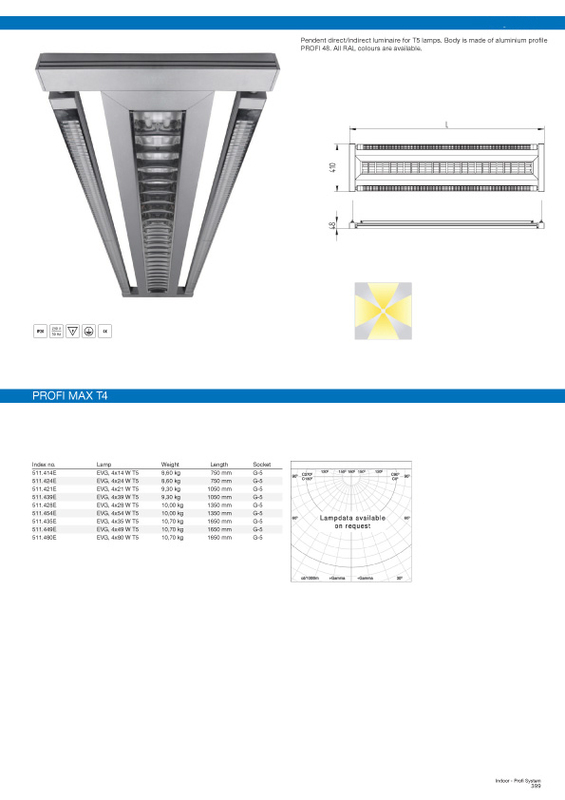 Luminaire designed for T5 lamp with parabolic louver. Body is made of aluminium profile PROFI 58. 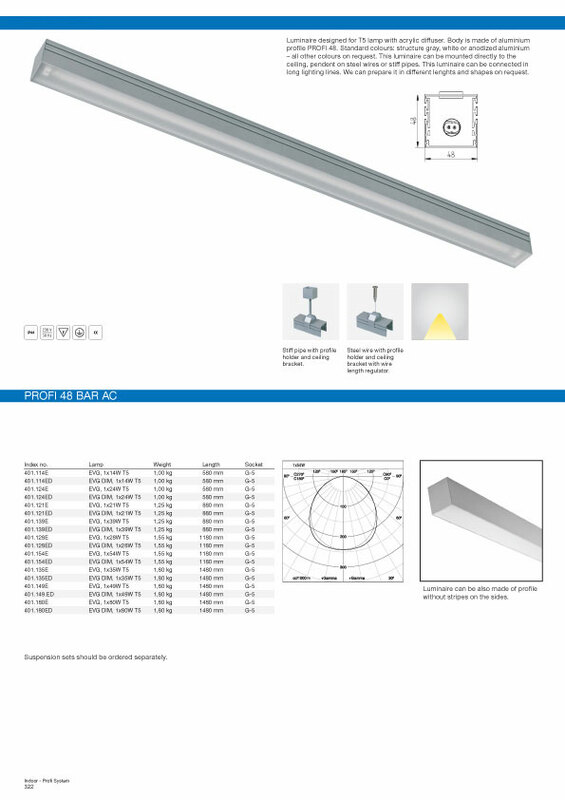 Standard colours: structure gray, white or anodized aluminium – all other colours on request. 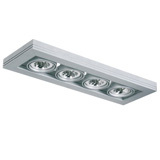 This luminaire can be mounted directly to the ceiling, pendent on steel wires or stiff pipes. 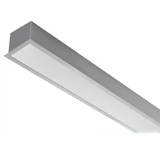 This luminaire can be connected in long lighting lines. We can prepare it in different lenghts and shapes on request. Luminaire for T5 lamp with slot diffuser. Body is made of aluminium profile PROFI 58. Standard colours: structure gray, white or anodized aluminium – all other colours on request. 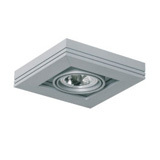 This luminaire can be mounted directly to the ceiling, pendent on steel wires or stiff pipes. 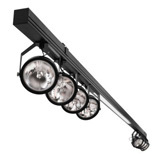 This luminaire can be connected in long lighting lines. We can prepare it in different lenghts and shapes on request. 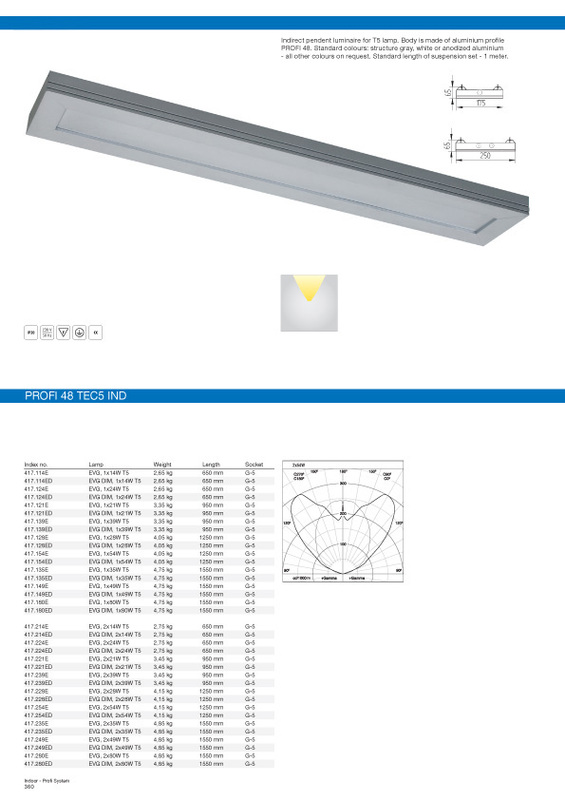 Recessed luminaire for T5 lamp with parabolic louver. Body is made of aluminium profile. All RAL colours are available. This luminaire can be connected in long lighting lines. We can prepare it in different lenghts and shapes on request. 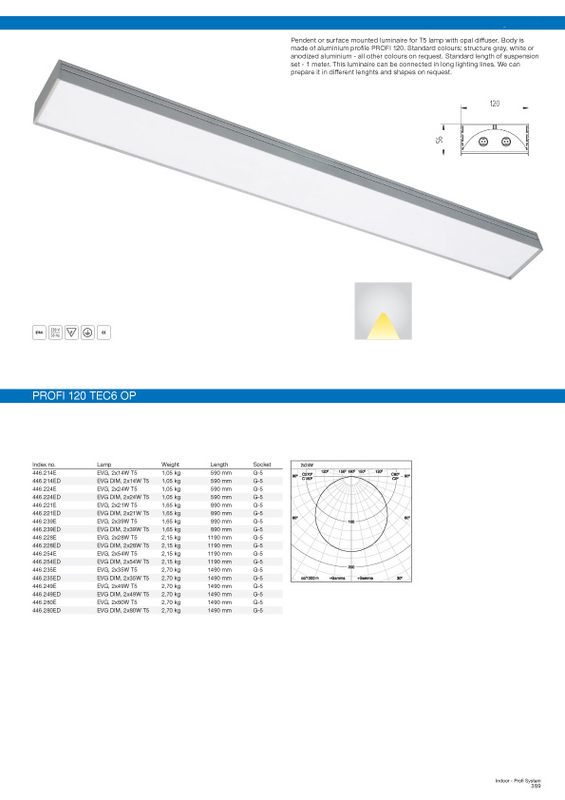 Pendent or surface mounted luminaire designed for T5 lamp. Body is made of aluminium profile. Standard colours: structure gray, white or anodized aluminium – all other colours on request. This luminaire can be mounted directly to the ceiling, pendent on steel wires or stiff pipes. 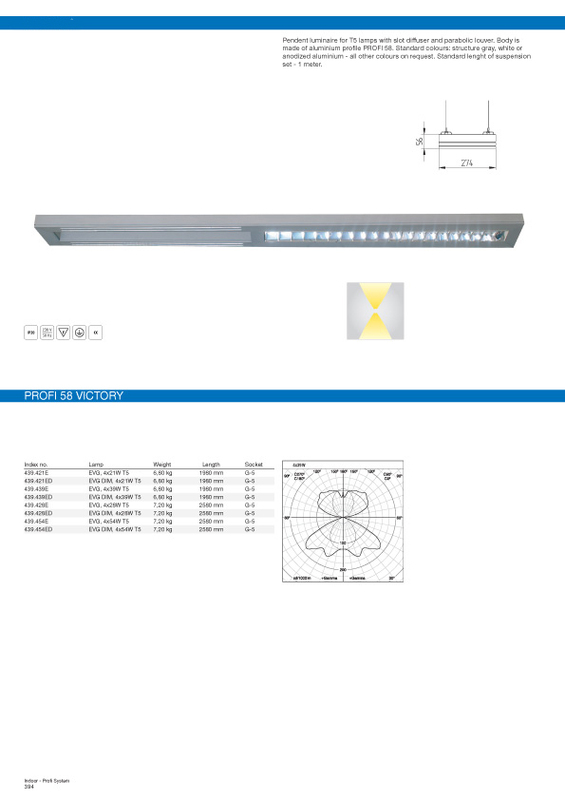 This luminaire can be connected in long lighting lines. We can prepare it in different lenghts and shapes on request. Surface mounted luminaire for QR111 lamp. Body is made of aluminium profile and can be painted in any RAL colour. 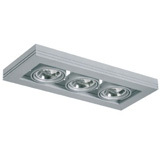 Pendent luminaire for QR111 lamps. Body is made of aluminium profile and can be painted in any RAL colour. 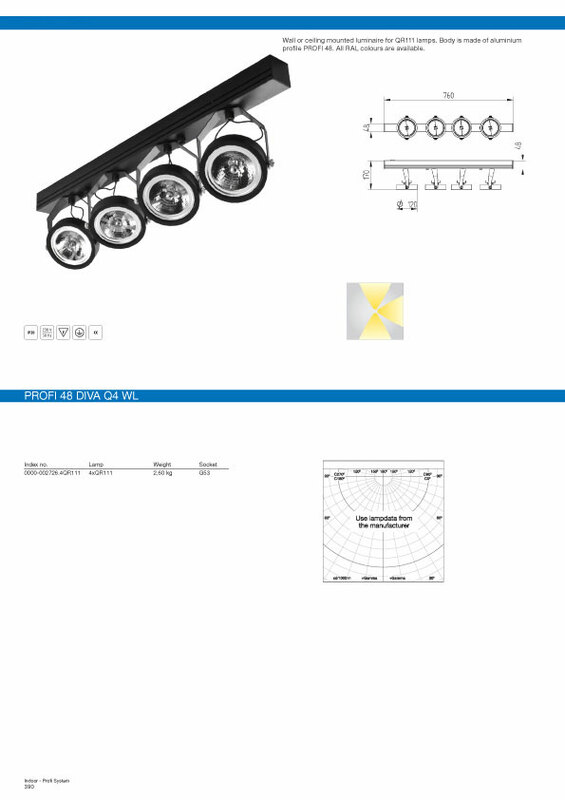 Standard length of suspension set - 1 meter. 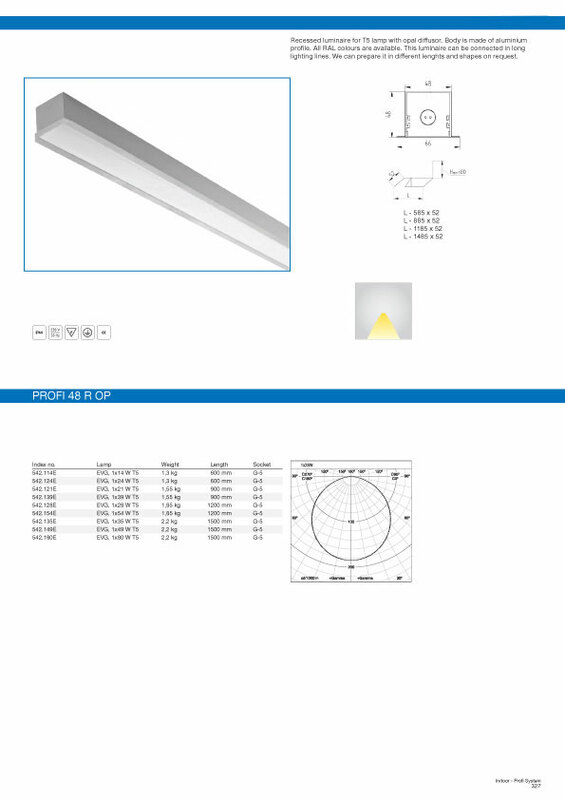 Luminaire designed for T5 lamp with acrylic tube diffuser. 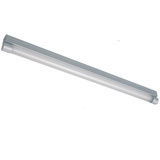 Body is made of aluminium profile and acrylic tube. All RAL colours available. This luminaire can be mounted directly to the ceiling/wall, pendent on steel wires or stiff pipes. 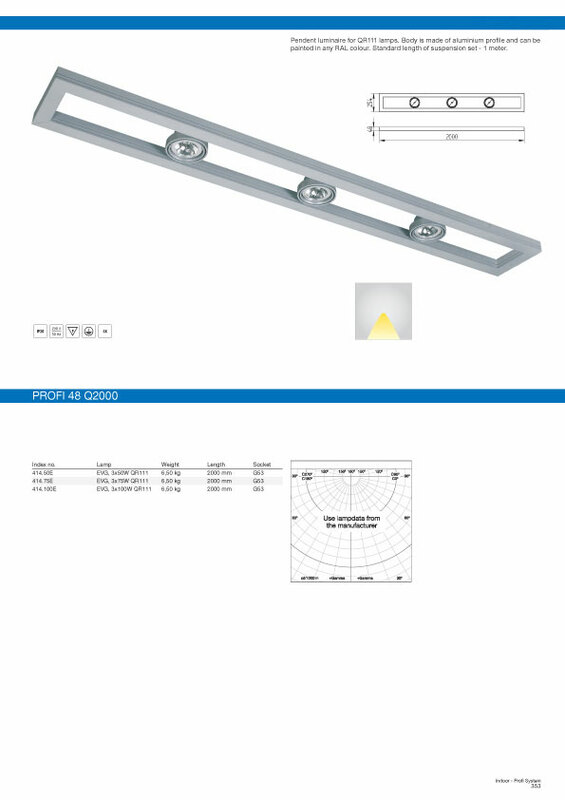 This luminaire can be connected in long lighting lines. We can prepare it in different lenghts and shapes on request. Pendent direct/indirect luminaire for T5 lamp with opal diffuser. Body is made of aluminium profile PROFI 48. 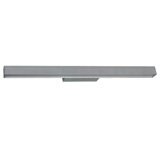 Standard colours: structure gray, white or anodized aluminium - all other colours on request. Standard length of suspension set - 1 meter. 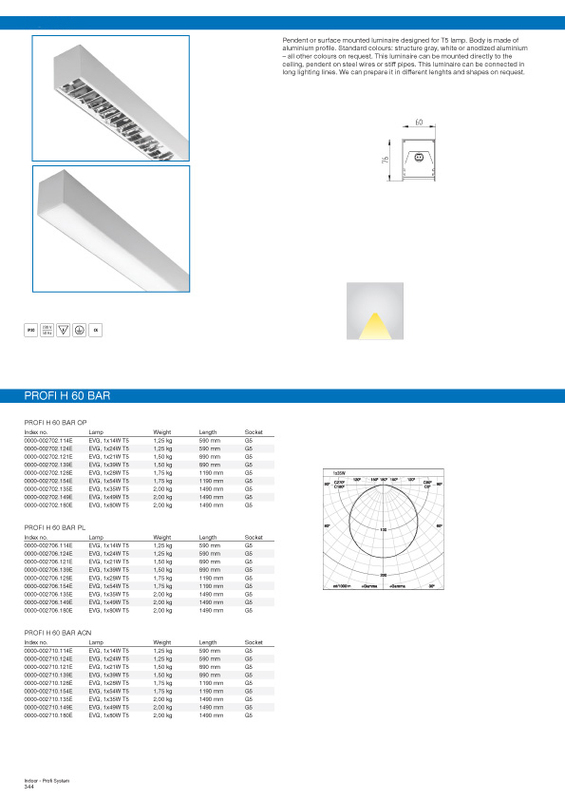 Indirect pendent luminaire for T5 lamp. Body is made of aluminium profile PROFI 48. 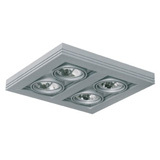 Standard colours: structure gray, white or anodized aluminium - all other colours on request. Standard length of suspension set - 1 meter. 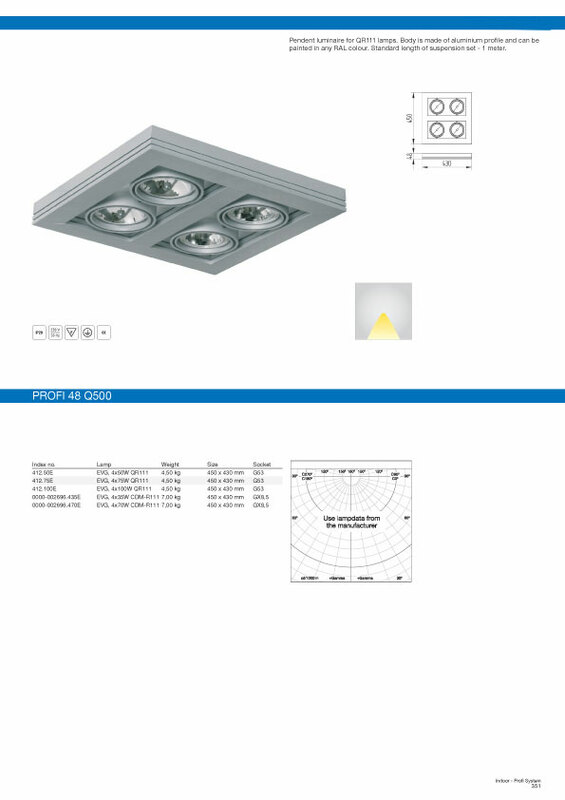 Pendent direct/indirect luminaire for T5 lamp with opal diffuser. Body is made of aluminium profile PROFI 58. 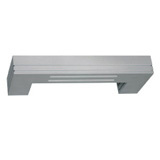 Standard colours: structure gray, white or anodized aluminium - all other colours on request. Standard length of suspension set - 1 meter. 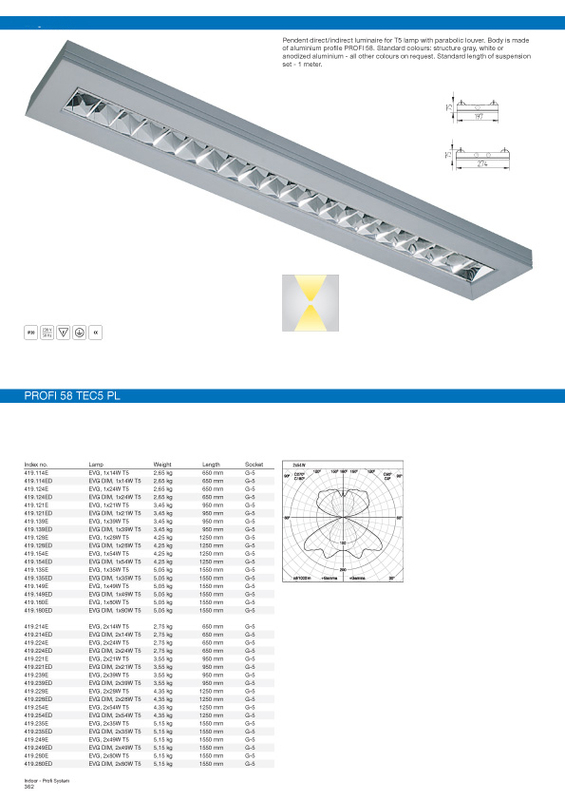 Pendent direct/indirect luminaire for T5 lamp with parabolic louver. Body is made of aluminium profile PROFI 58. Standard colours: structure gray, white or anodized aluminium - all other colours on request. Standard length of suspension set - 1 meter. 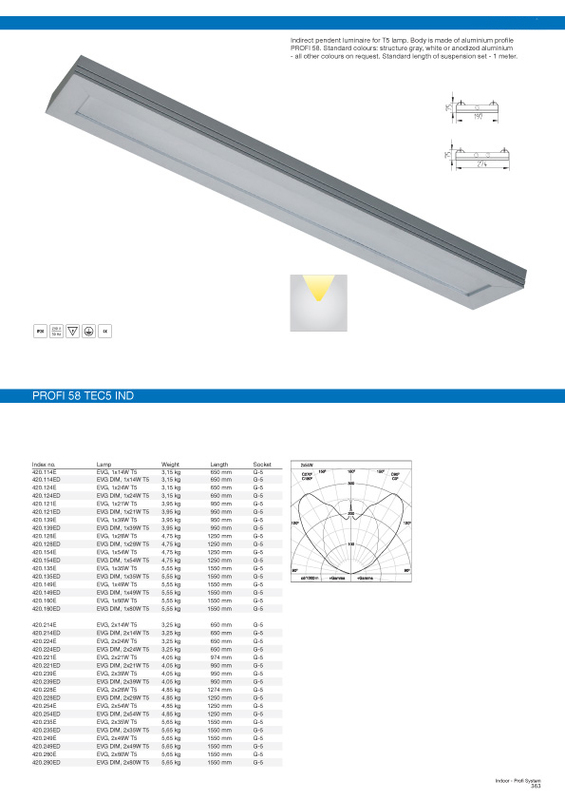 Indirect pendent luminaire for T5 lamp. Body is made of aluminium profile PROFI 58. Standard colours: structure gray, white or anodized aluminium - all other colours on request. Standard length of suspension set - 1 meter. 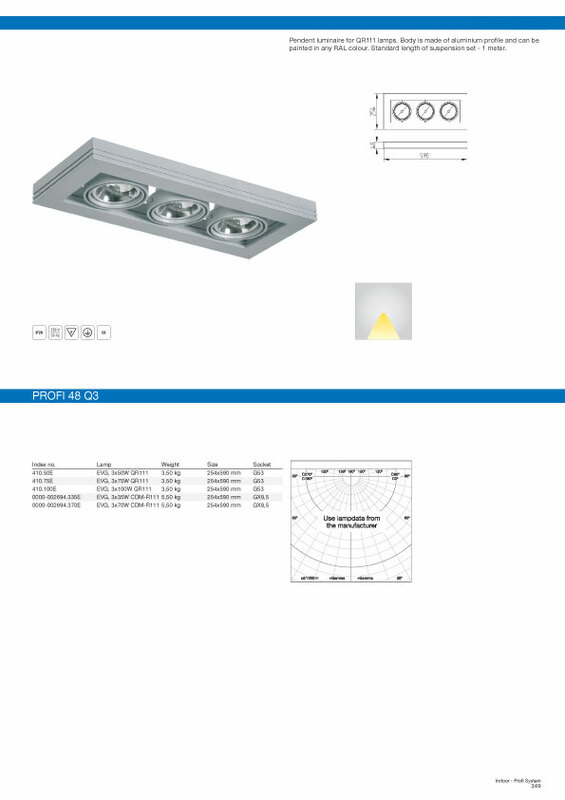 Pendent direct/indirect luminaire for T5 lamp with opal diffuser and two QR 111 lamps. Body is made of aluminium profile PROFI 48. 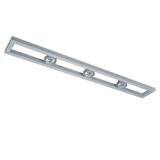 Standard colours: structure gray, white or anodized aluminium - all other colours on request. Standard length of suspension set - 1 meter. 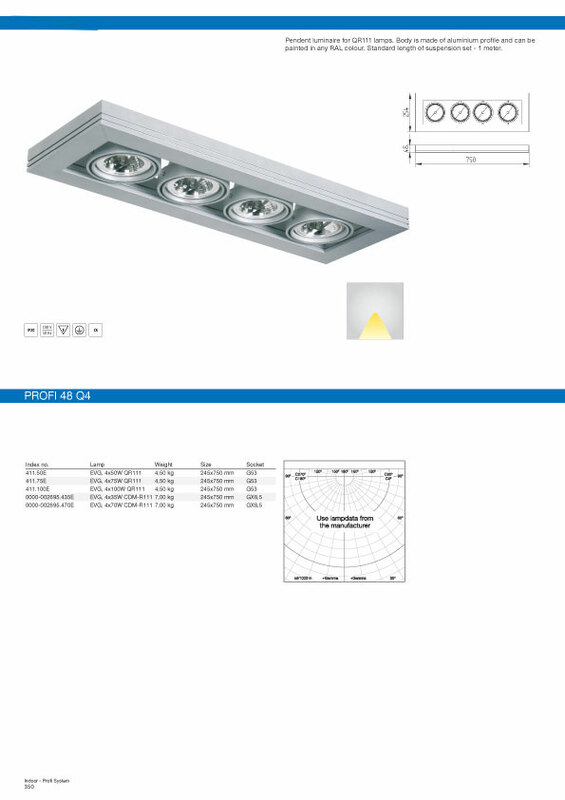 Pendent direct/indirect luminaire for T5 lamp with opal diffuser and four QR 111 lamps. Body is made of aluminium profile PROFI 48. 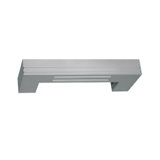 Standard colours: structure gray, white or anodized aluminium – all other colours on request. Standard length of suspension set - 1 meter. Pendent direct/indirect luminaire for T5 lamp with parabolic louver and two QR 111 lamps. Body is made of aluminium profile PROFI 48. 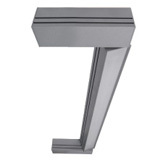 Standard colours: structure gray, white or anodized aluminium - all other colours on request. Standard length of suspension set - 1 meter. 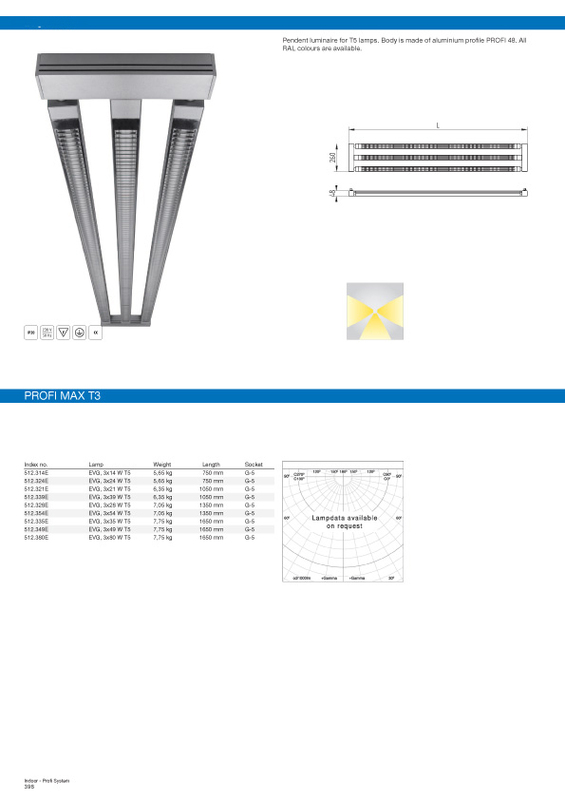 Pendent direct/indirect luminaire for T5 lamp with parabolic louver and four QR 111 lamps. 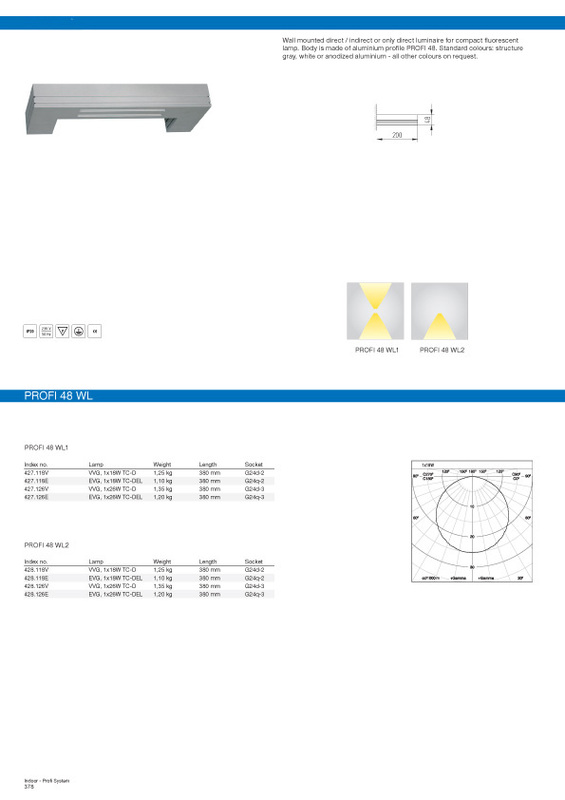 Body is made of aluminium profile PROFI 48 Standard colours: structure gray, white or anodized aluminium - all other colours on request. Standard length of suspension set - 1 meter. 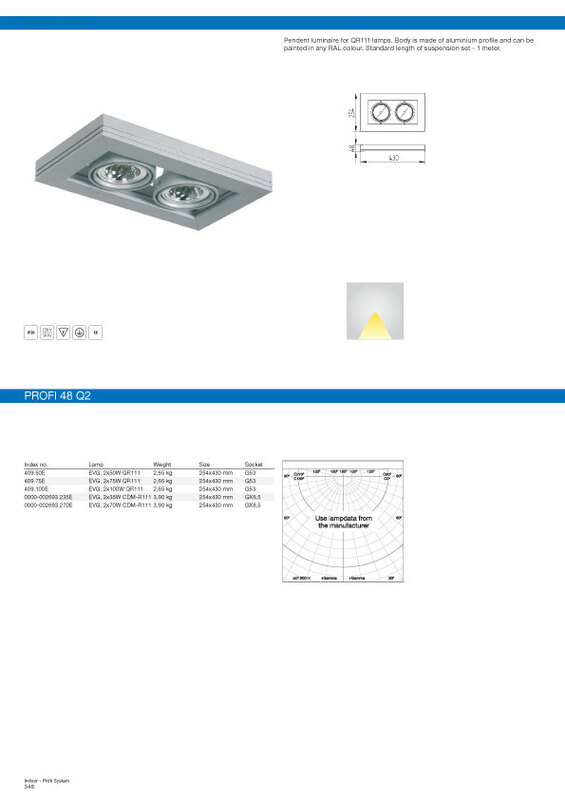 Pendent direct/indirect luminaire for T5 lamp with opal diffuser and two QR 111 lamps. Body is made of aluminium profile PROFI 58. Standard colours: structure gray, white or anodized aluminium - all other colours on request. Standard length of suspension set - 1 meter. 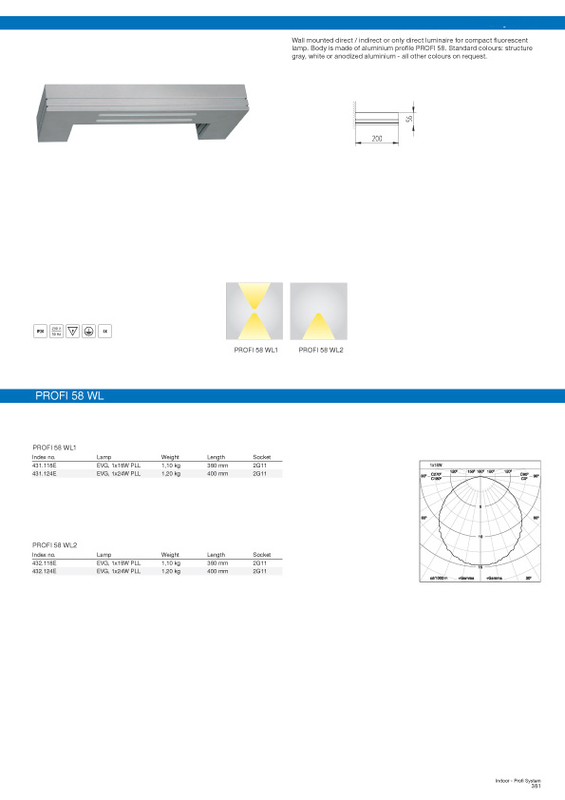 Pendent direct/indirect luminaire for T5 lamp with parabolic louver and two QR 111 lamps. Body is made of aluminium profile PROFI 58. 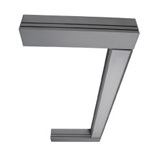 Standard colours: structure gray, white or anodized aluminium - all other colours on request. Standard length of suspension set - 1 meter. 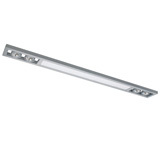 Wall mounted direct / indirect or only direct luminaire for compact fluorescent lamp. Body is made of aluminium profile PROFI 48. 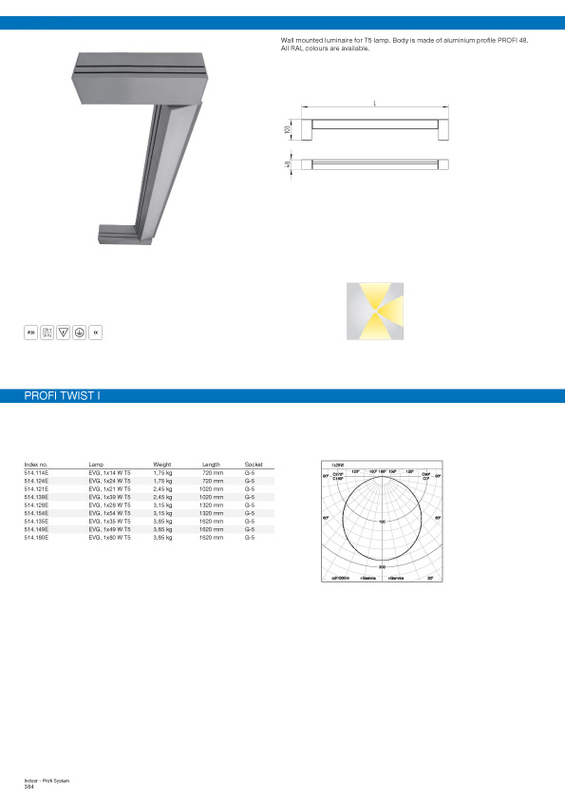 Standard colours: structure gray, white or anodized aluminium - all other colours on request. 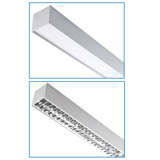 Wall mounted indirect or backlight luminaire for compact fluorescent lamps. Body is made of aluminium profile PROFI 58. Standard colours: structure gray, white or anodized aluminium - all other colours on request. Wall mounted luminaire for T5 lamp. Body is made of aluminium profile PROFI 48. 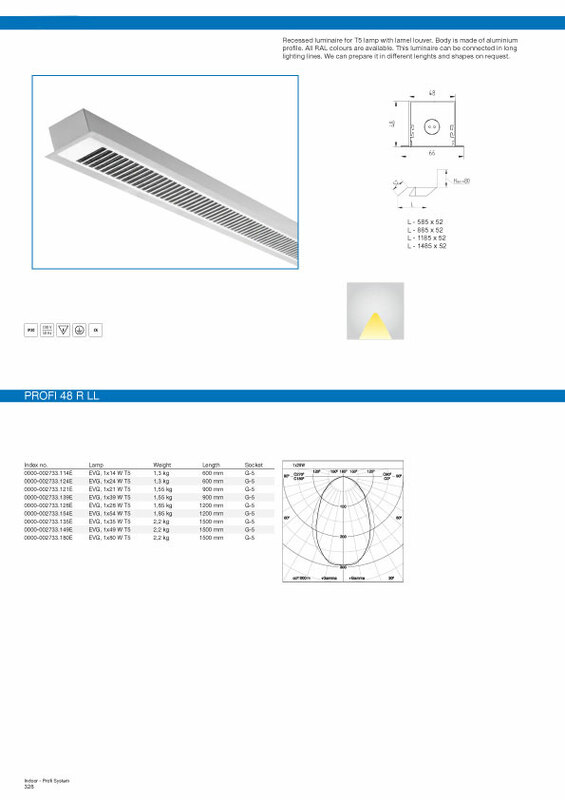 All RAL colours are available. Wall mounted luminaire for T5 lamp with opal diffuser. Body is made of aluminium profile PROFI 48. 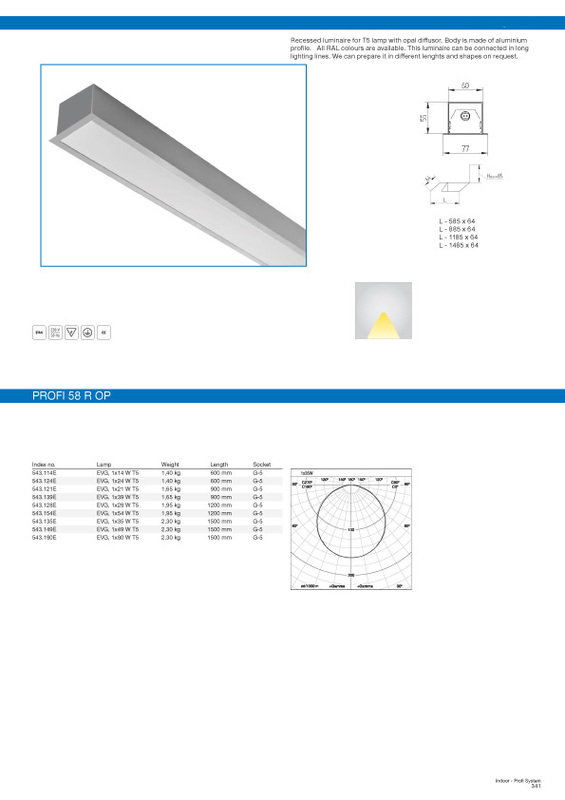 Standard colours: structure gray, white or anodized aluminium - all other colours on request. 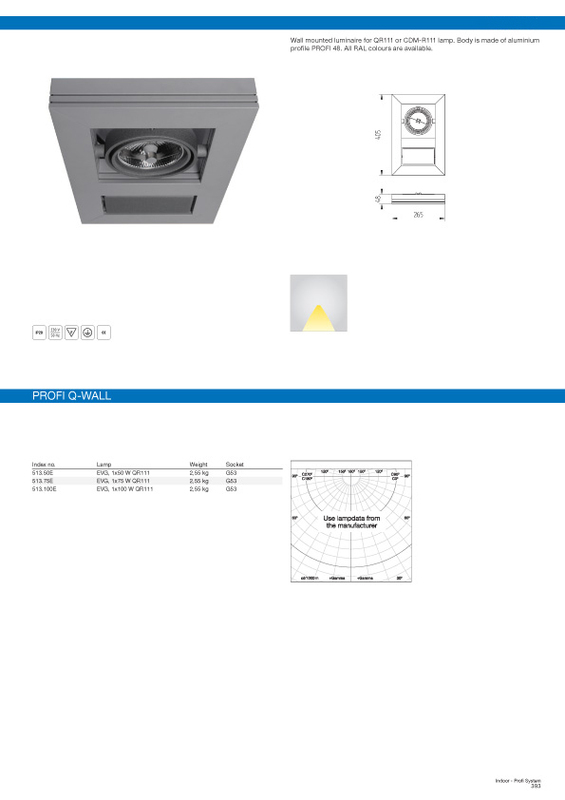 Wall mounted luminaire for T5 lamp with acrylic diffuser. Body is made of aluminium profile PROFI 48. Standard colours: structure gray, white or anodized aluminium - all other colours on request. 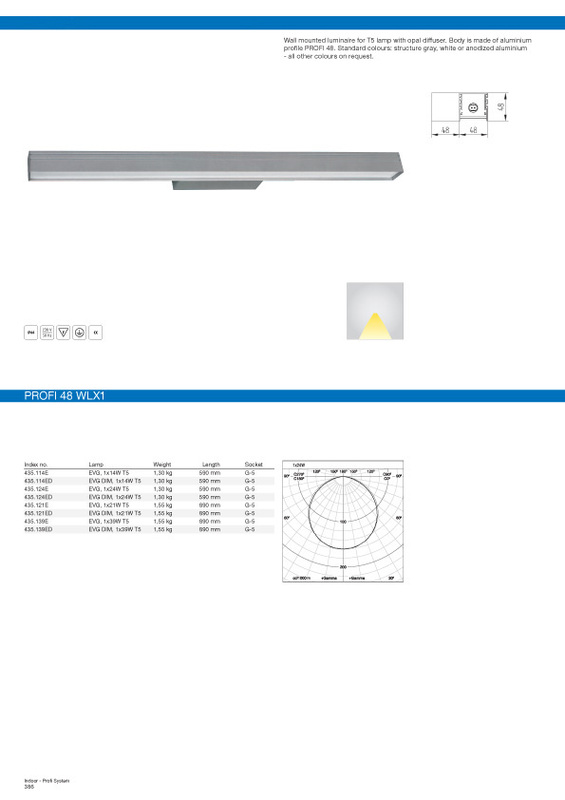 Pendent or surface mounted luminaire for T5 lamp with opal diffuser. Body is made of aluminium profile PROFI 120. Standard colours: structure gray, white or anodized aluminium - all other colours on request. Standard length of suspension set - 1 meter. 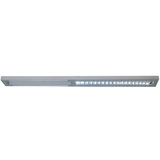 This luminaire can be connected in long lighting lines. We can prepare it in different lenghts and shapes on request. 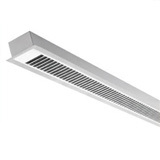 Wall or ceiling mounted luminaire for QR111 lamps. Body is made of aluminium profile PROFI 48. All RAL colours are available. Pendent luminaire for QR111 lamps and T5 linear lamp. Body is made of aluminium profile PROFI 48. All RAL colours are available. Wall mounted luminaire for QR111 or CDM-R111 lamp. Body is made of aluminium profile PROFI 48. All RAL colours are available. 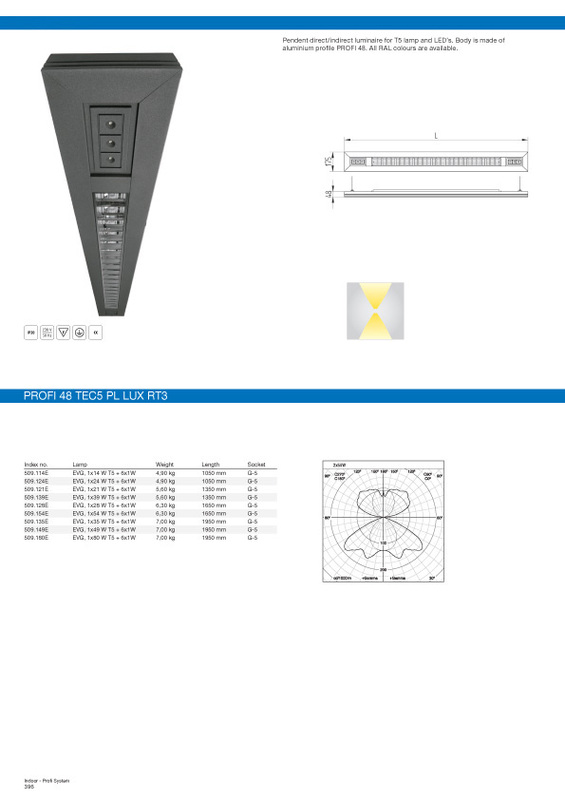 Pendent luminaire for T5 lamps with slot diffuser and parabolic louver. Body is made of aluminium profile PROFI 58. 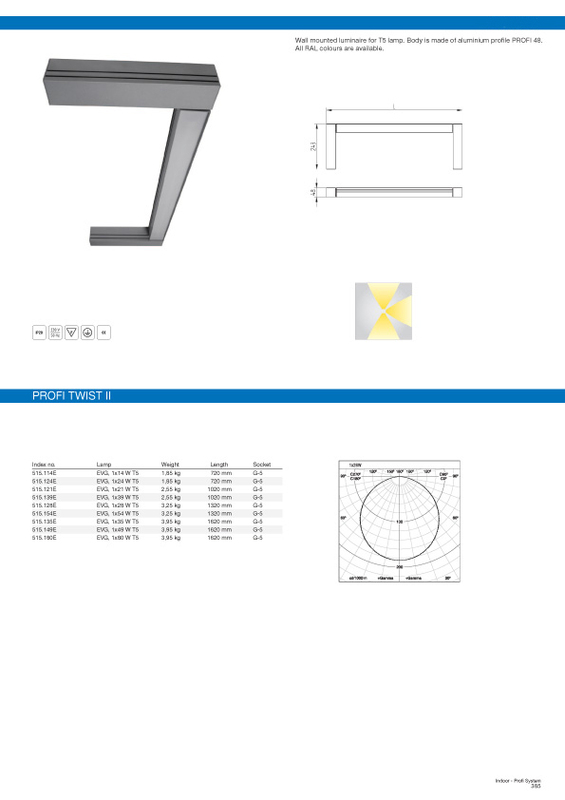 Standard colours: structure gray, white or anodized aluminium - all other colours on request. 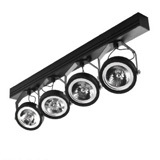 Standard lenght of suspension set - 1 meter. Pendent direct/indirect luminaire for T5 lamp and LED’s. Body is made of aluminium profile PROFI 48. All RAL colours are available. 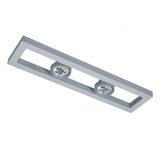 Pendent luminaire for T5 lamps. Body is made of aluminium profile PROFI 48. 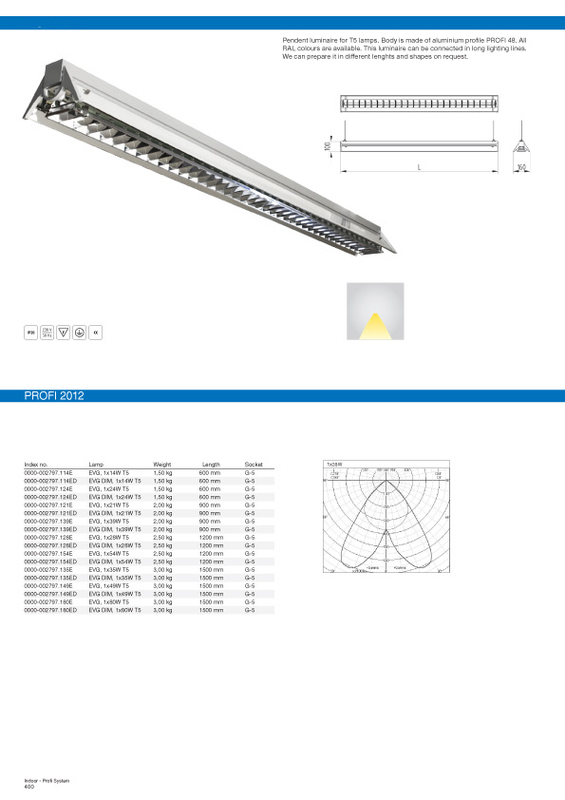 All RAL colours are available. Pendent direct/indirect luminaire for T5 lamps. Body is made of aluminium profile PROFI 48. All RAL colours are available. 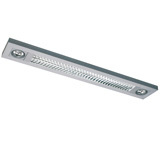 Pendent luminaire for T5 lamps. Body is made of aluminium profile PROFI 48. All RAL colours are available. 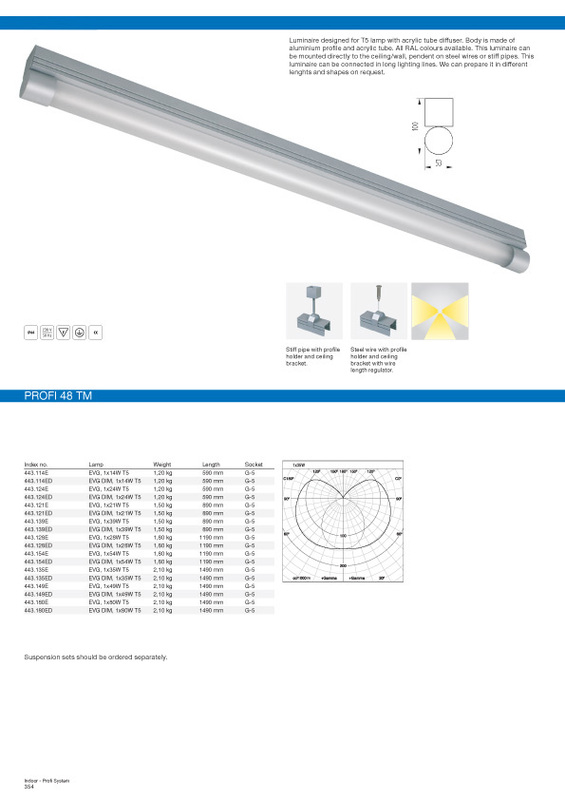 This luminaire can be connected in long lighting lines. We can prepare it in different lenghts and shapes on request.